As a frequent traveler in the recent years, I have experienced several airline services. I'm sure some of us collect some souvenirs from the plane and yes, I am one of those people who enjoy obtaining those simple things. But the most important factor is that I also check the service, the environment and the plane itself. Let's enumerate those airlines I have already experienced maybe to give you some insight and personal notes about them. 1. Philippine Airlines - this is my home country's national airline. The cabin crews are one of the proofs that indeed, it is the first airline in Asia. I'm not sure about their age but I think most of them are more than 35 years old. I'm not against this but sometimes, it is nicer to see younger stewardess serving you and can be an inspiration to other aspiring youth who wants to enter such career. I'm not saying it isn't nice to see them but what really hit me is that when I see them, I sometimes tell to myself that they just need to rest or do some office work or just enjoy life. This isn't a degrading statement but all of the airlines that I have been to have younger cabin crews. Anyway, the food is quite okay and I was thankful that the peanut snacks do not exist anymore. Most of the planes that I have experienced from them were quite new, they are on time and the service isn't that bad. 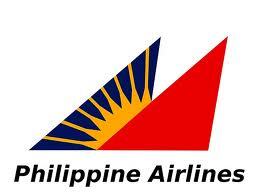 Whether domestic or international, from or to Manila, I always prefer this airline. I believe that in the coming years, it will be one of the world's best airline if they will continue their upgrade and improvement projects. 2. 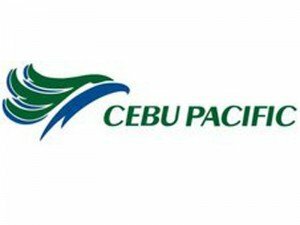 Cebu Pacific – this is a budget airline from Manila. One good thing that this airline accomplished was that they revolutionized the "budget era" in air travelling. More Filipinos were able to travel abroad for a cheaper price. It also gave chance to others to explore the Philippines as they also offer numerous domestic flights. But I'm not really sure if they considered "quality service" as the primary goal that they should implement. When I book a flight using this airline, I always encounter delay and the plane wasn't that stable up in the air. One thing that really irritated me was the time when they made an amendment to my booking without notifying me first and can't make any more appeal to the step they took. So I have to reschedule some appointments and meet ups. After that incident, I never book a Cebu Pacific flight again. The last time I acquired their service was 2007 (or 2008). 3. 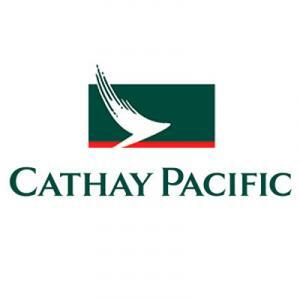 Cathay Pacific – this is the first airline that I experienced. It was 2005 when I embraced the joy of traveling abroad as it was my first time going out of the country. I was deployed by my employer to go to Hong Kong for an assignment and the joy of flying with them was a mixed of frightening and wonderful experience. Since it was my first plane ride, I didn't understand the turbulence and the process during takeoff. I was so nervous and I was even praying but when we reached the sky, everything was calm and smooth. The entertainment service was really nice and the seats were wider. It became my standards in every plane that I ride. They were on time, with very accommodating cabin crew and a snack that was satisfying. Also, it won 4th place in the recently concluded World Airline Awards. 4. 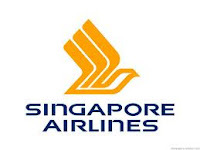 Singapore Airlines – this airline does not only enjoy its prestigious name but it also boasts its headquarters. This is the national flag carrier of Singapore and its airport has been named one of the world's best airports for 2012. Skytrax gave the 2nd place position to Singapore Changi Airport in this year's World Airport Awards and the airline itself won 3rd in 2012 World Airline Awards. Honestly, the service of this airline is really incomparable. From the clothes of the stewardess to the entertainment package, to the food selection, the size of the plane and the smooth duration of the travel were really good. One thing that isn't quite nice is that most of the time, the ticket price is expensive but if you are lucky, you can spot a cheap price for your destination. Nevertheless, the price is reasonable for the excellent service that they provide.